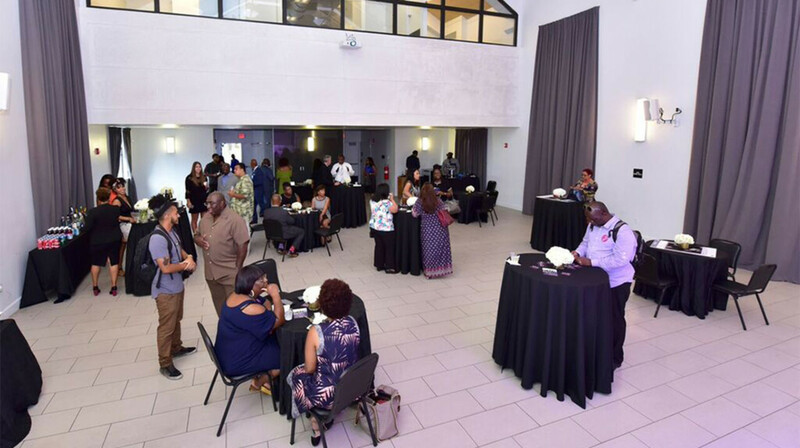 The Southeast Overtown/Park West Community Redevelopment Agency created the Overtown Performing Arts Center (OPAC) as a community-based facility to harness and capture the "Magic of Overtown" as this historical district once was for entertainment. The OPAC is a 9,500-square-foot, state-of-the-art venue housed in the fully renovated historic Ebenezer Methodist Church building. The OPAC offers 2,000-square-feet of culinary kitchen and meeting spaces. The facility was designed for the aspiring event producer as well as the seasoned event specialist. The open floor plan of the OPAC was designed for live performing arts onstage with a variety of front-of-house layouts capable of theater-style seating for up to 250 patrons. Banquet, classroom and corporate meeting layouts can accommodate up to 110 attendees. Book the OPAC for an event or visit the website to discover upcoming programs.